Check out the MR in the background! The world famous Bondi lifeguards are selling their own apparel. We screen printed their gear.. 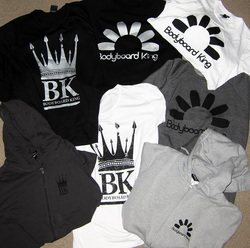 Hoods and tees for both girls and guys. They are ordering by the truck load! Sweeney Bros. and FTW. have been at it from day one! We helped the crew get sorted with their whole range. Logo placements, design work, tagging etc. An ongoing relationship thats getting steamier by the day! These guys needed some high quality gear for their online store. Will Edgerly brings the artists together and we print the goods. Some 3 colour prints and a tight halftone design that concluded in some of our best work yet! Pat and Adam came up to our shop to mix some custom colours. Sunburst orange and rich red infused grey were the final choices. Custom tags were printed inside the neck also. 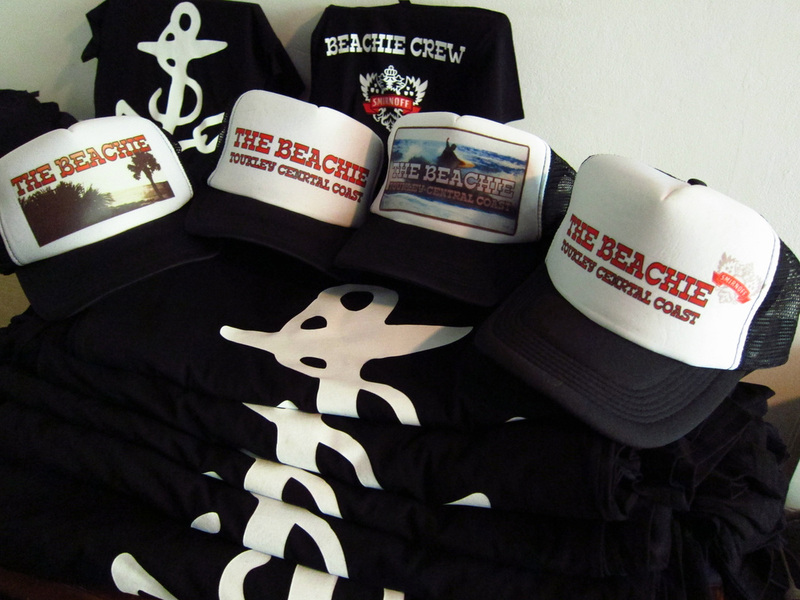 Staff tees and truckers for the Beachcomber hotel in Toukley on the Central Coast. 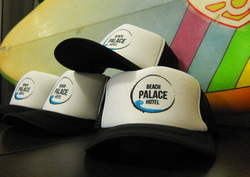 The hats went like hotcakes and the staff were stoked on their new uniforms. Smirnoff Aust sponsoring the gig. 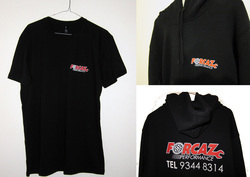 Victor from Forcaz needed some uniforms for his mechanic workshop in Maroubra. He sent the artwork file through and we did the rest! Hoods, tee's, singlets... The works. The Graham bros getting their business rolling with some Pro looking uniforms! Big tymer Toby Player has the biggest online bodyboard shop in Aust. His range consists of 3 logos but the different contrasts of paint verses garment colour send the combinations into the endless territory. Shark Island Challenge. The historic event held annually has seen some of the heaviest waves in compitition! We print the tees, they charge the waves. Plastic People. Classic lable from New York saw us printing their gear for their OZ customers. 4 seasons and over 20 differnt prints! Sweeney Bros. Have printed staff tees for a number of pubs in the Sydney area. 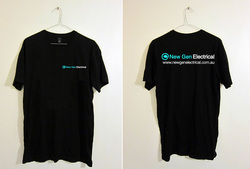 Bulk orders make the price per tee drop to make it more cost effective for the customer. These gangstas have been at it for 4 years! 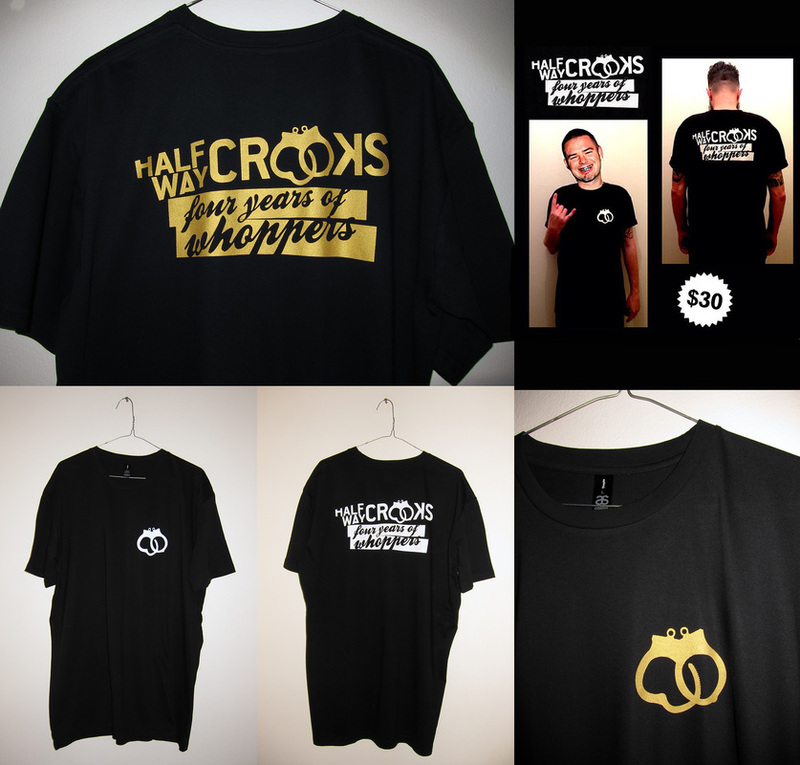 We printed their anniversary tee for the big night. A first time for us printing lengths of fabric. We rose to the challenge and had the joins connecting perfectly.. printed first then stitched together after. The Bendalong General Store. The south coast town gets a full box every school holidays for the tourist season. 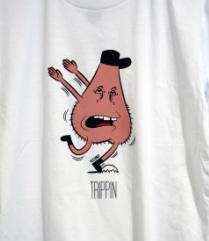 James Rees aka Rooster, purchased some tees for his business recently. 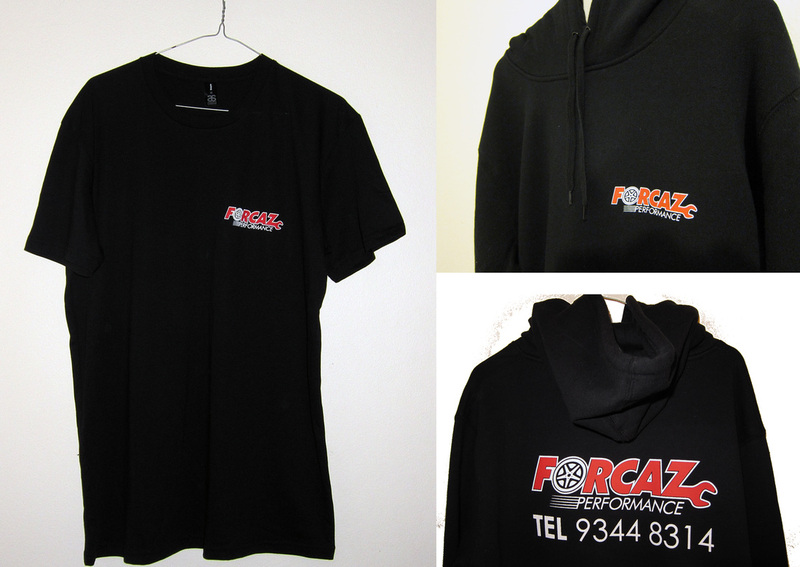 We sorted out a logo design and printed plenty of hoods, polos, tees and a few junior hoods for his kid. 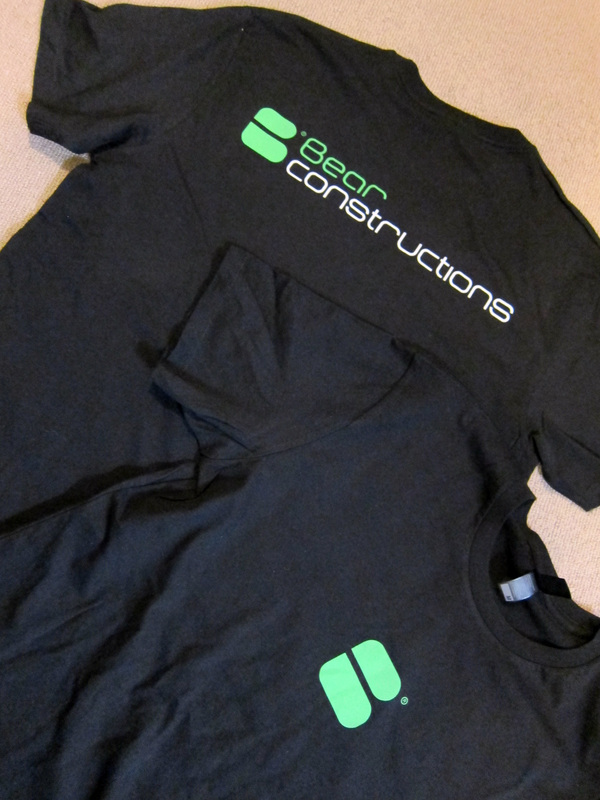 The boys at Bear look way more professional after they found us! No ugly thick workwear, the boys work smarter not harder! 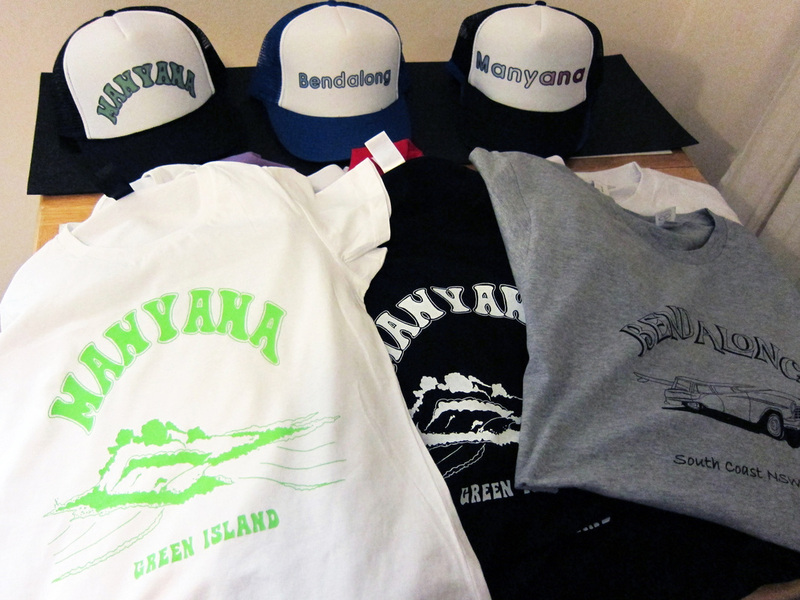 The crew needed some jackets and singlets printed for their Splendor in the grass team.